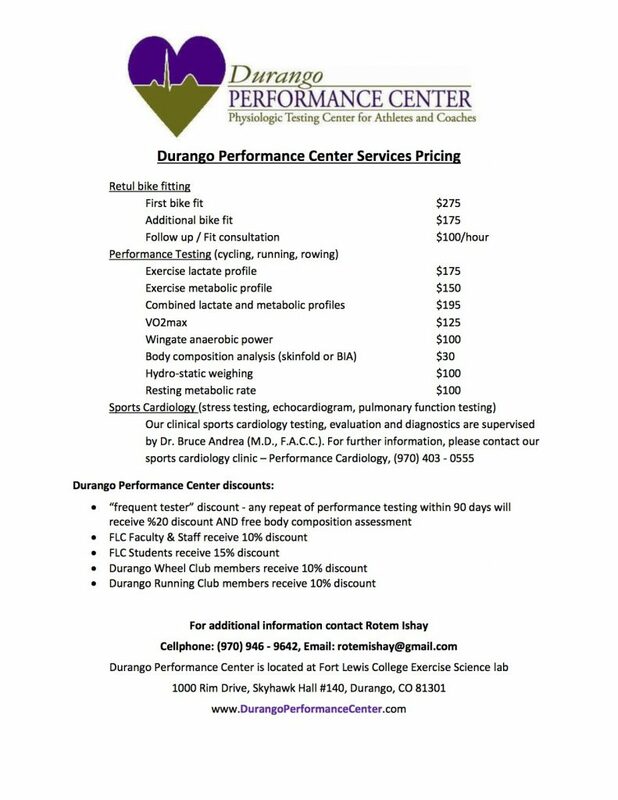 Durango Performance Center, Sponsor of local cycling races and series such as the Durango Dirt Derby, has extended a 10% discount off all services for DWC members. Repeated testing within 90 days will get a 20% discount! Check out the flyer below for the non-discounted price list.